alaTest on kerännyt ja analysoinut 72 arvostelut tuotteelle Sond Audio EMBW-13Y31. Keskimääräinen antama arvosana tälle tuotteelle on 4.4/5, verrattuna keskimääräiseen arvosanaan 4.1/5 kategoriassa Audiolaitteet. Me analysoimme käyttäjien ja ammattilaisten antamia arvosteluita, tuotteen ikää ja muita seikkoja. Verraten muihin tuotteisiin kategoriassa Audiolaitteet, Sond Audio EMBW-13Y31 on saanut alaScore™-arvosanan 89/100 = Erittäin hyvä. Decent sound and room filling volume. Handy remote control. Not a bad point as such but it is rather large, so check you can accommodate it. vfm - good common inputs (aux,bluetooth,usb) and power cord so no rechargeing. It is loud and has button for music and movies preference. I am worried that i may misplace the remote control. Crackle on low volume Bluetooth. 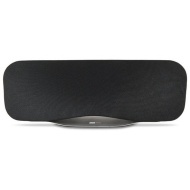 Excellent sound at a very reasonable price. A bit on the large size. Good clear sound, high volumes without distortion.